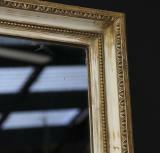 So plain and so nice, this large 19th century gesso mirror has its original glass, surrounded by a fine beaded edge. 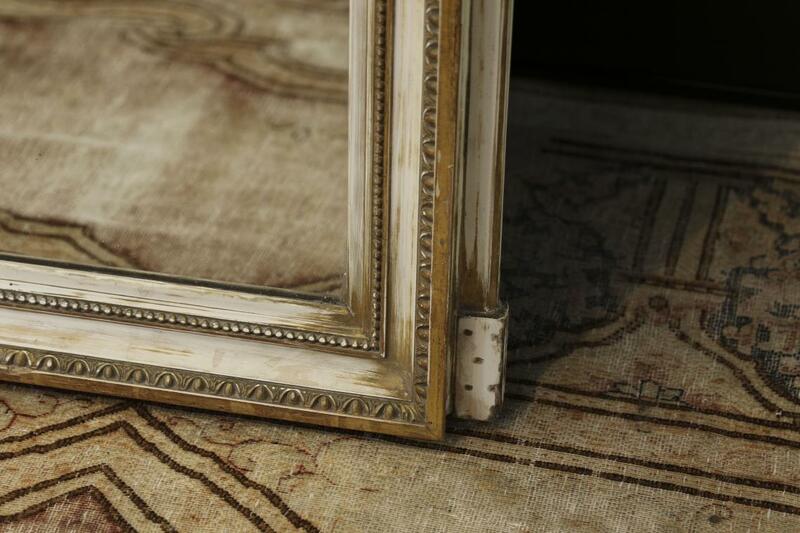 The frame's concave plain moulding gives the mirror a generous feel. 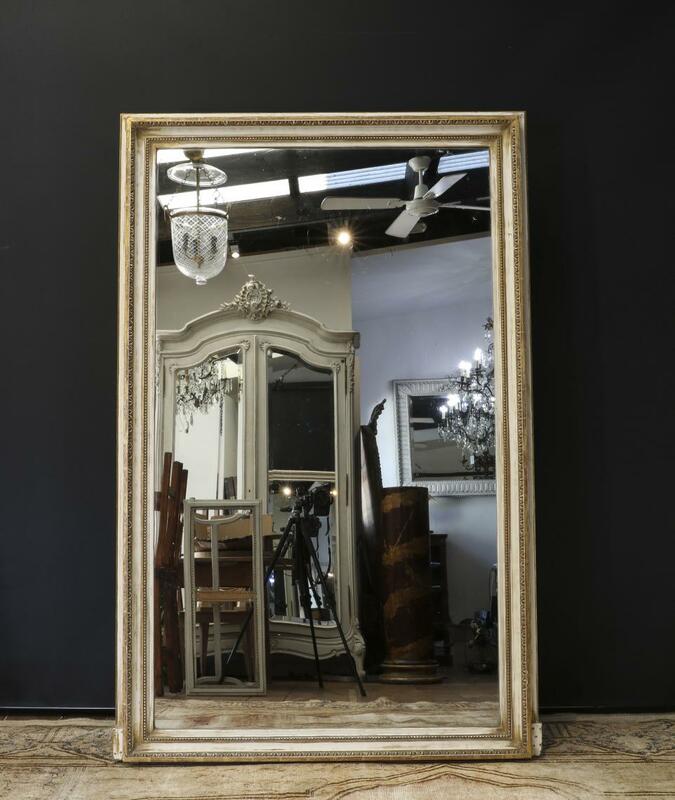 You will need the hangman to get this on the wall, the piece is very heavy because it retains its original mercury-coated plate glass mirror. If you are interested in this piece or would like more details please call us on +64 9 529 1660 or email info@js.co.nz quoting #110-44.